With eight groomsmen in the bridal party, this wedding I shot at Berkeley Church was one of the most fun ones I photographed in Toronto. 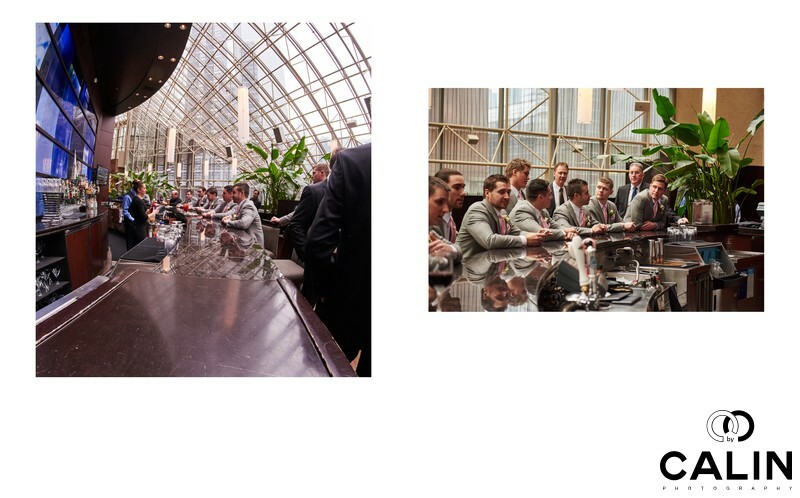 On the left side of this album spread, the groomsmen are enjoying drinks at the bar. The right page of the album spread shows the reflection of the bridal party on the bar's granite counter.